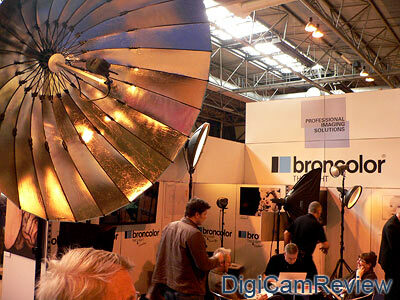 From the monthly archives: "February 2007"
I was at Focus on Imaging 2007 – Europe’s biggest annual imaging show today – it’s held at the Birmingham NEC from the 25th to the 28th of Febuary and it’s an opportunity to see the latest digital cameras, the latest printers, and latest accessories. Unlike a lot of other shows, Focus on Imaging has shops offering special show offers where you can potentially grab a bargain on the latest digital camera (for example – the Olympus E-500 with lens is / was available for £299!). This page will be updated with more news and coverage over the next few hours. This year seemed to have a bond theme, as can be seen above! 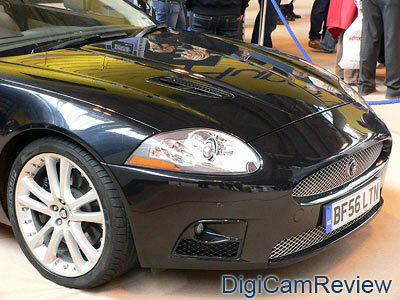 Left: Jaguar XKR at the Phase One stand. Right: Joby Gorrillapod – it’s now available in three different sizes on their website. Click pictures to enlarge. 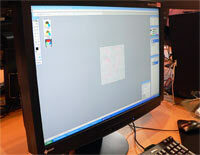 Left: HP Lightscribe Direct Labeling system stand. Medea Infiniti were also on the stand demonstrating the technology. 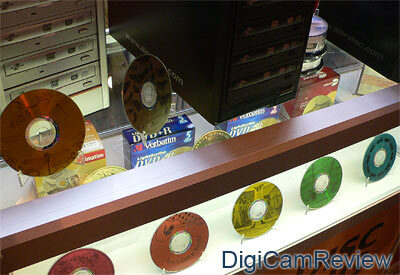 Right: Multi-coloured discs, and Lightscribe CD/DVD writers – all new drives that feature the Lightscribe capability now have the Lightscribe logo on them. 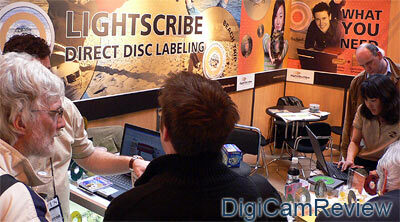 For more information see our Lightscribe Disc Labeling page – we had a look at the system at last year’s Focus on Imaging. Click pictures to enlarge. 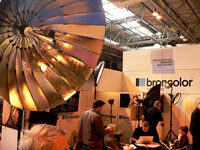 Left: Broncolor Flash Lighting Systems Stand. 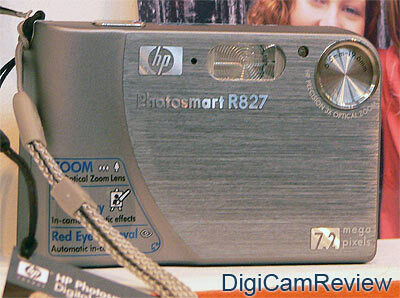 Right: HP Photosmart R827 – HP were there demonstrating all their printers from small photo printers to large professional printers, however, their digital camera range on show consisted of four models, and they didn’t seem to be putting much focus on the cameras. Click pictures to enlarge. 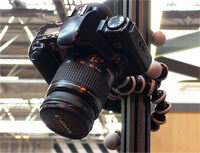 Left: The Monster Pod (monsterpod.co.uk) a new go-anywhere tripod that sticks to almost anything. Available for £29 – people who bought one at the show recieved a free case. 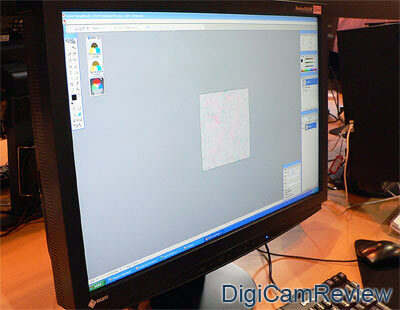 Right: Eizo were demonstrating their monitors, including the Eizo S2411W-U – a 24″ Wide-screen display with 3000:1 contrast ratio, 178 degrees viewing angle, a 5 year warranty, 1920 x 1200 native resolution and a new feature that simulates colour vision deficiency. Click pictures to enlarge. A word from friends: Digital cameras and batteries go together like peanut butter and jelly, though maybe the former is a relationship that’s a little more parasitic than the latter. Discover a wealth of information about batteries for electronic equipment, including Toshiba laptop batteries, PDA batteries and digital camera batteries on the Internet. 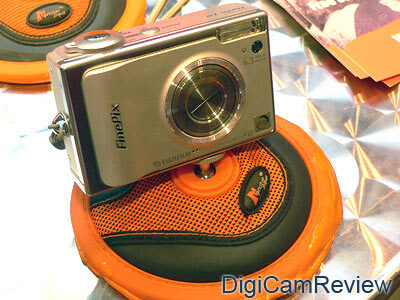 2 – Fujifilm FinePix S9600 S9100 – 10.7x optical zoom, 9 megapixels. PopPhoto have posted a review of the new Olympus SP-550 Ultra Zoom digital camera – it features a massive 18x optical zoom lens – equivalent to 28mm – 504mm in 35mm terms! 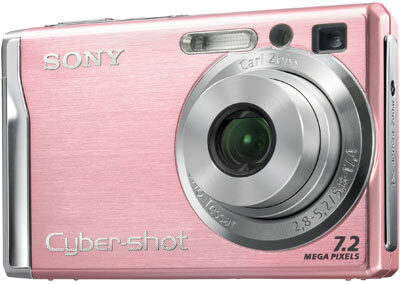 The camera features an anti-shake CCD sensor image stabilisation system, 7 megapixel sensor, RAW support and a 2.5″ screen. 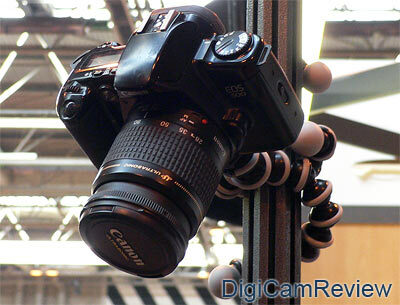 The camera is available from Amazon UK for £320. Read the full SP-550 press release, and to see more photos. 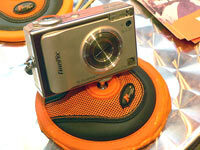 Photoxels have reviewed the new SLR style Fujifilm FinePix S9600 / S9100. The new Fujifilm FinePix S9600 (S9100 in the US) – is an update to the S9500 (S9000) – and features a 9 megapixel sensor, a wide angle 10.7x optical zoom lens, ISO upto 1600, VGA video recording, and a 2″ swivelling screen. 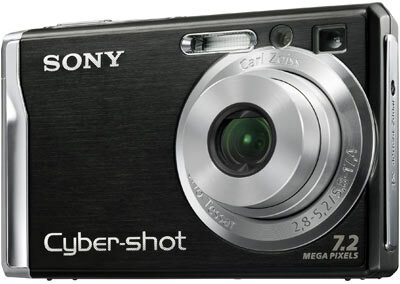 The camera is available for £255 from Amazon including VAT and free postage. Trusted Reviews have reviewed the new 8 megapixel Kodak Easyshare V803, available in 8 colours, it features a 3x optical zoom lens, a 2.5″ screen, digital image stabilisation, ISO upto 1600, VGA video recording at 30fps, and 32mb of internal memory. The camera is available (for pre-order) from Amazon UK. The Gadget Show, a UK TV show about Gadgets, have reviewed the new Fujifilm FinePix F31fd and compared it to the more expensive Canon Digital IXUS 900 Ti, and Sony Cybershot DSC-N2 with some surprising results, the video is available on YouTube. Ken Rockwell has reviewed the new Canon Powershot A550 – an update to the A540 – it features a 4x optical zoom lens, a 7 megapixel sensor, DIGIC II, iSAPS and 9-point AiAF, Redesigned Shooting Mode dial, 30fps VGA movies with sound, 2.0” LCD with dedicated Playback button. Available now for £132 from Amazon UK. 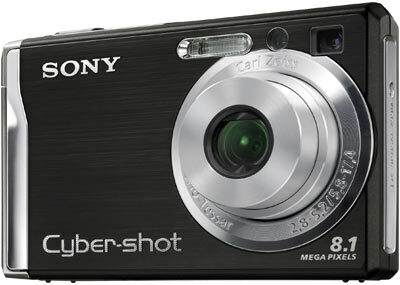 Sony have announced the new Sony Cybershot DSC-W200 (pictured above), Sony Cybershot DSC-W90, and Sony Cybershot DSC-W80. 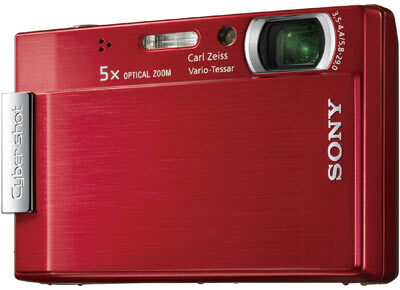 Yes, you read that correctly, the W200 features a 12.1 megapixel sensor! 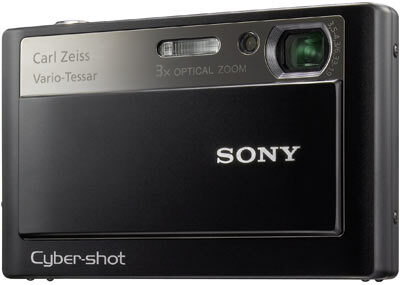 All cameras feature a 3x optical zoom lens, a 2.5″ screen, Super Steady Shot (Optical image stabilisation), ISO upto 3200, and an optical viewfinder. 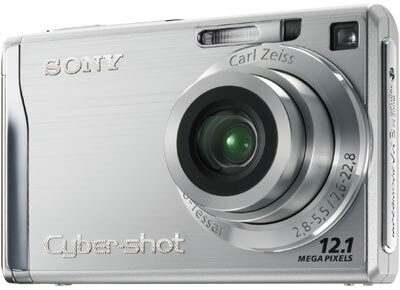 The W200 is available in silver, the W90 features an 8 megapixel sensor and is available in silver in black, while the W80 features a 7 megapixel sensor and is available in silver, white, pink and black.